For people who have been following us for some time now know that Liam and I live in China (for over two years now). And what’s one of the things China’s extremely famous for? Besides the great wall and pandas… TEA of course! 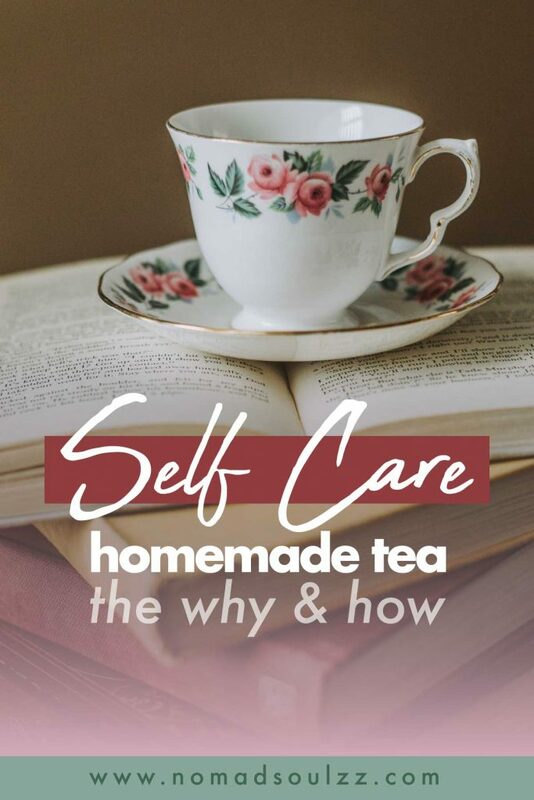 Just been through a mighty cold, and whilst contemplating what to share on the blog next, I decided it was time to dedicate a post to one of self-care’s warmest hugs: a homemade cuppa’ tea. 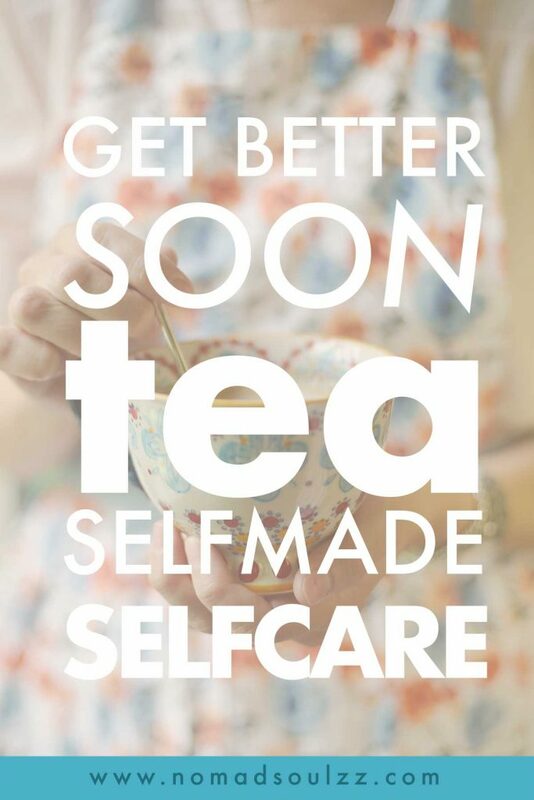 Prepare yourself for our top 3 tea remedies! We’ve been to quite a few tea ceremonies here in China and they never fail to tell us the funny story of how tea originated and it’s time you hear so too: Emperor Shen Nung discovered tea when leaves from a wild tree blew into his pot of boiling water. He was immediately interested in the pleasant scent of the resulting brew and drank some. Which got me thinking I should boil my water outside, who knows what would happen? Whilst officially speaking there are only five types of tea – all originated from the same plant, the Camellia sinensis – black tea, green tea, oolong tea, pu-ehr tea (read out loud whilst imitating a pirate, it’s fun! ), and white tea. However, nowadays many herbal infusions and flower-based drinks are considered tea as well. 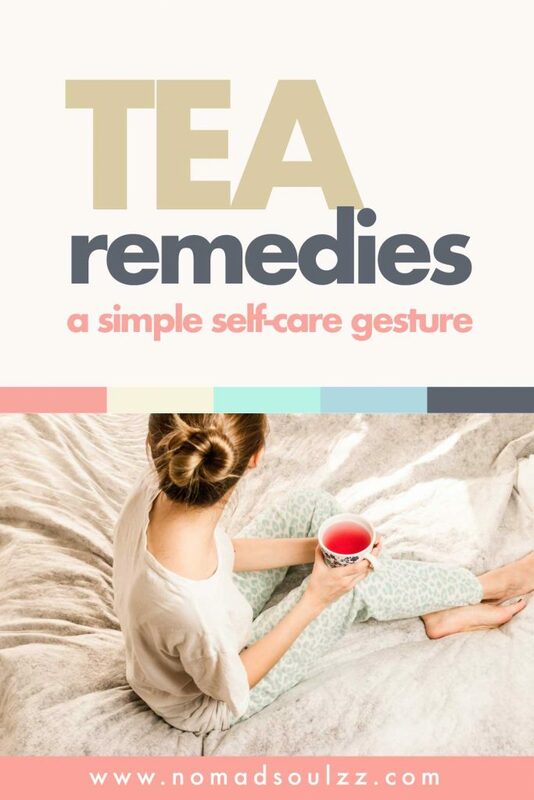 In the list below you’ll find both official- and non-official tea remedies. One thing for sure: they will relieve you one way or another. 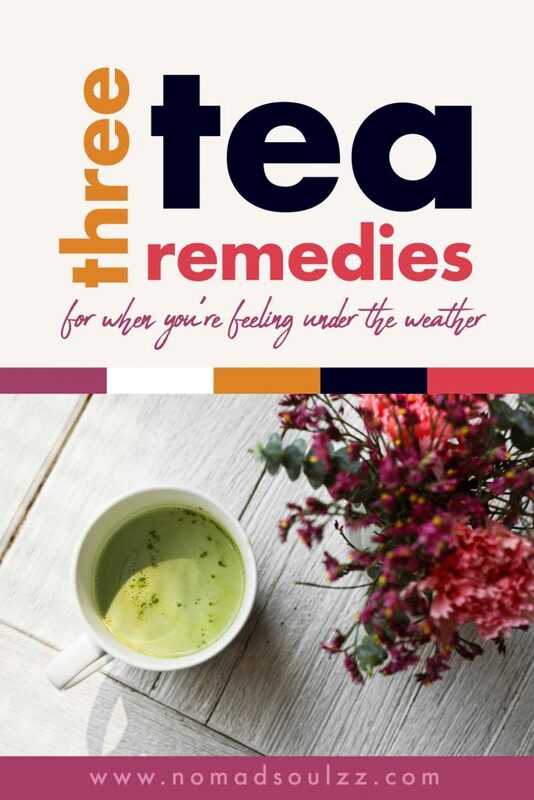 This deserves without a doubt a number one spot on our list of tea remedies, as it is our go-to tea whenever we feel any symptoms of a cold, flu or other bodily irritation coming up. 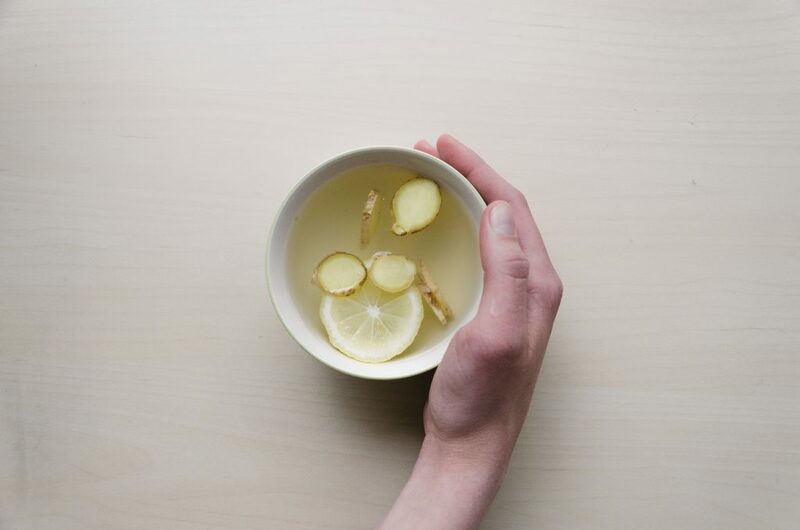 Lemon ginger tea contains an antihistamine (Antihistamines can give relief when a person has nasal congestion or sneezing), and also antibacterial properties that help the immune system fight off various diseases. Chronic inflammation is the cause of many diseases. Ginger is an inflammatory agent; it contains many compounds that fight free radicals to balance the inflammatory response of the body. In Asia, ginger is used to treat nausea, stomach aches, and diarrhea. It may even reduce vomiting naturally. 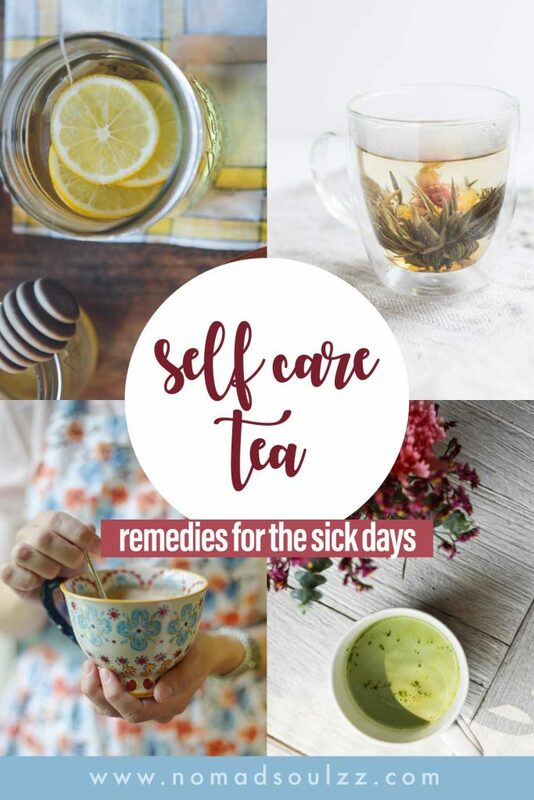 Besides all the above-mentioned benefits, it’s also good for your skin, your hair, improves cardiovascular health, and is soothing for women who suffer from extensive period-pains. Easy-peasy. There are different ways to make it, but I usually just cut up about a tablespoon of ginger, half a lemon squeezed (and then chuck the skin in the pan too) and then add it with a cup of water into a small saucepan. Let it boil/simmer for a minute or 2/3. Pour it into a large mug (use a strainer if you don’t want any pieces floating about) and enjoy! You can also add honey to make it sweeter and smoother for the throat but if you like to keep it plant-based and more detox (no sugar) just leave the honey out. The secret, not so secret, ingredient in this infusion tea is the turmeric. It has been used in India for thousands of years as a medicinal herb and spice. More and more studies start to prove what ancient Indian knowledge knew for centuries, the anti-inflammatory and healing quality of curcumin (the main active part of turmeric). Turmeric is known for the yellow color it adds to many delicious curries. But there is more, there is always more. 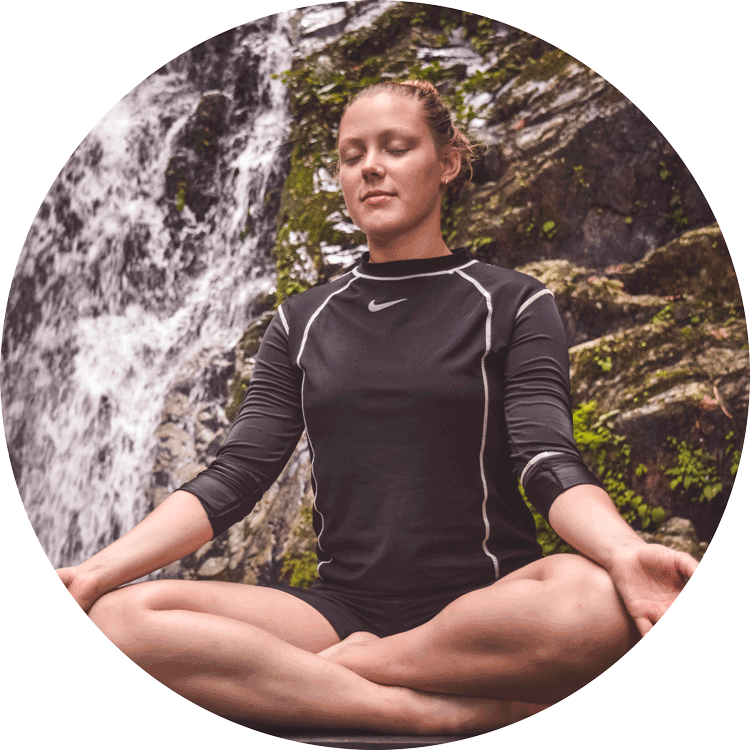 When I did a meditation course in the Himachal Pradesh area in India last year I caught a nasty fever. I was coughing, sweating and shivering all day and night long. One of the other members of the course, the sweet and loving Priti (a local) made me a marvelous turmeric, ginger paste which helped a lot with the recovery! All I had to do was add the paste to some hot water and it was like I was drinking a magical healing potion. Turmeric contains a natural anti-inflammatory compound. Turmeric increases the antioxidant capacity of the body. This is great! Why? Ever heard of free radicals? No? Well, in short (I’ll try to keep it as short as possible). Free radicals are certain (unpaired) molecules in the body that cause certain chain reactions (radical bastards..). Once they start interfering with important cellular components (like DNA and so forth) real damage can be done. Antioxidants can interact safely with free radicals and terminate the chain reaction before vital molecules are damaged. Boom! Where’s the turmeric? There is some evidence that curcumin can boost the brain neurotransmitters serotonin and dopamine. 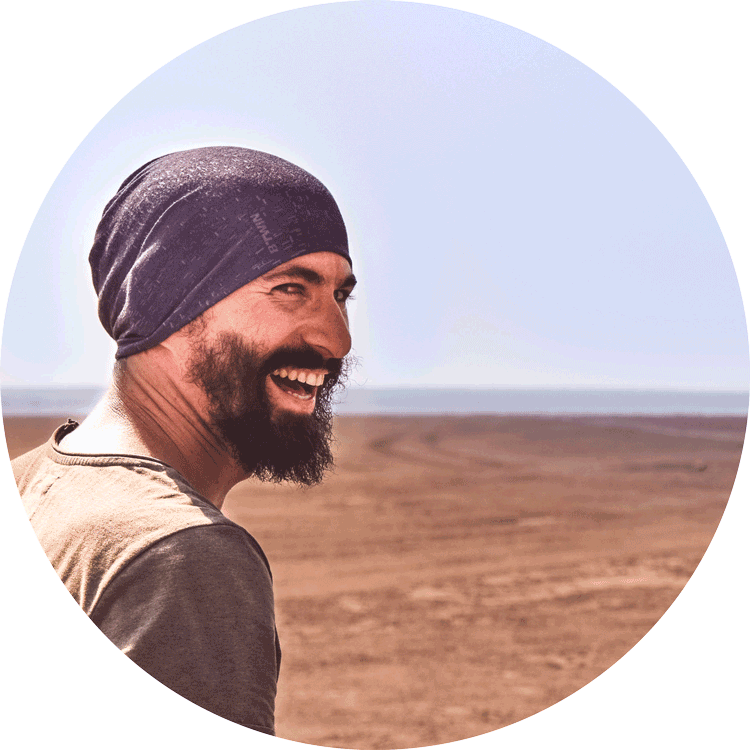 Where Serotonin regulates mood and social behavior, appetite and digestion, sleep, memory, and sexual desire and function. Dopamine is involved in reward, motivation, memory, attention and even regulating body movements. 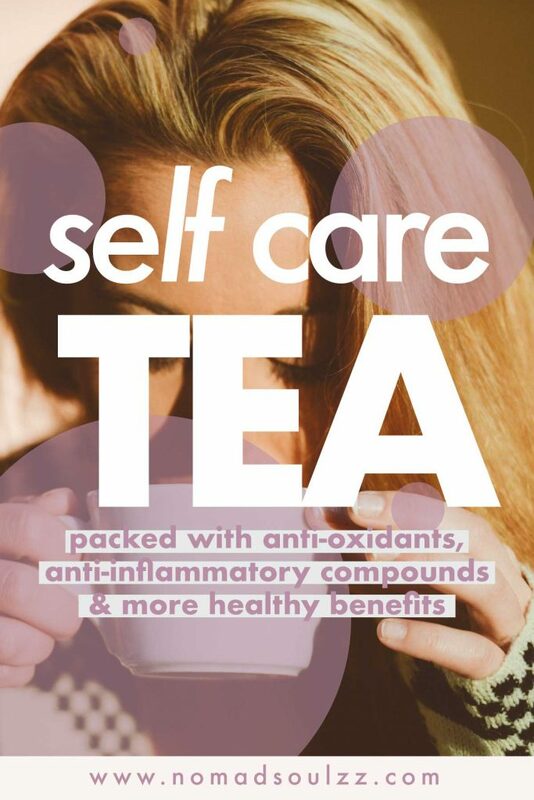 So instead of taking drugs, why not choose a more natural solution and sip on a cup of turmeric tea? I prefer to mix all the ingredients into a small paste (you can also make more and just add one scoop of it every time you’re making the tea). Then I pour the boiling water/hot milk over the paste, stir and sip. 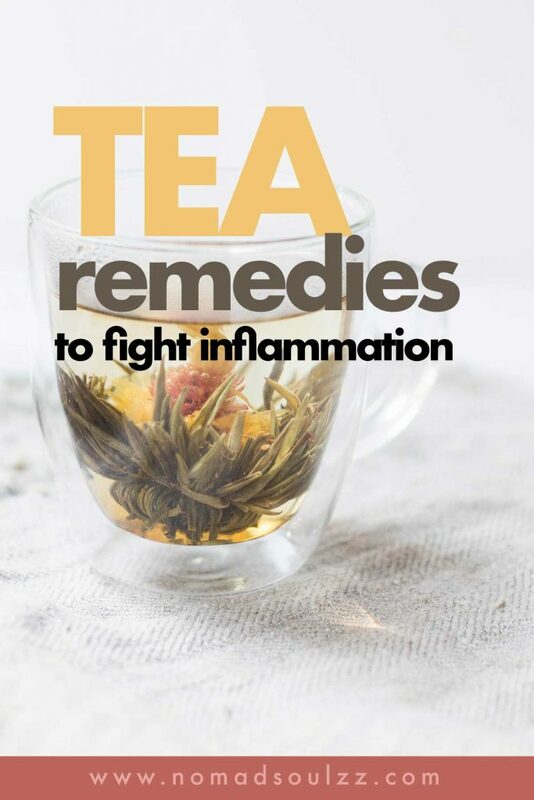 It’s not the tastiest infusion, but it definitely is a gem amongst the tea remedies for it’s healing properties. You might want to drain it afterward if you don’t appreciate pieces floating around, but I tend to just eat the swimming ginger. Sometimes I add dried hibiscus to add a delicate red tea taste (when made with water). Hibiscus is refreshing (slightly sour in taste) and its also known for it’s stimulating activity towards the immune system. So win-win for sure! Adding honey adds sweetness and makes it a bit softer for the throat, it also makes the paste more pasty. Why you should consider adding black pepper: research supports that combining the piperine in black pepper with the curcumin in turmeric enhances curcumin absorption by up to 2,000%. So basically adding pepper enhances the powerful benefits of turmeric. So if you don’t mind spicy, why not? 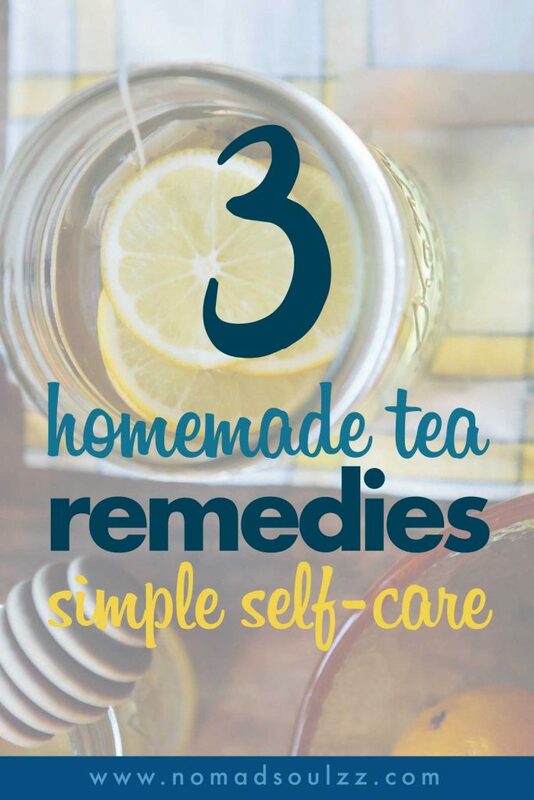 It was time for a real tea to make the list of tea remedies. Matcha, a form of green tea (so it derives van from the Camellia sinensis) has a slightly different product line than regular green tea. Besides that, matcha powder is ground tea leaves. Instead of drinking regular green tea, where you drink water that has been soaked with the leaves. You consume the leaf with matcha tea. Like any other official tea, it contains some form of caffeine. So say hello to the boost, without facing the drowsiness that usually follows after regular coffee consumption. Some people even say they experience the caffeine from Matcha releasing more slowly and steadily making them alert yet relaxed. 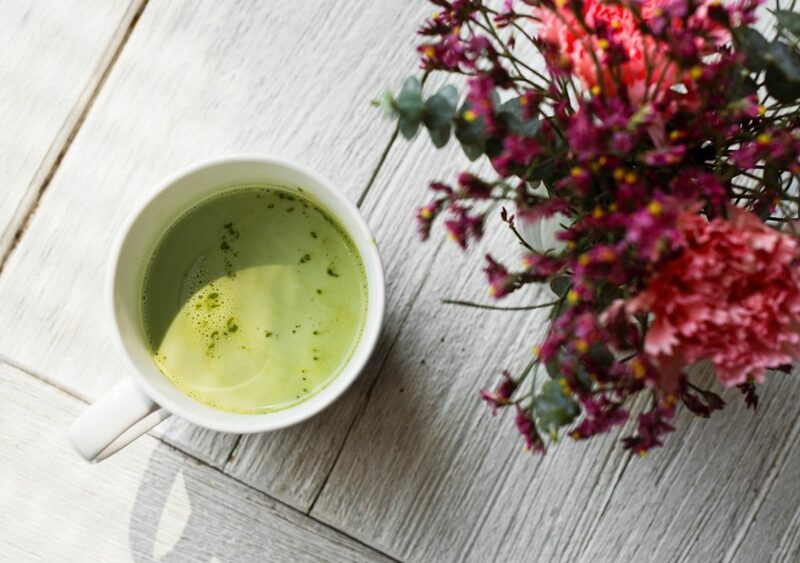 The catechins compound in green tea is known to kill bacteria and inhibit viruses like the influenza virus, potentially lowering your risk of infections. More benefits: improves physical performance, improves brain function, burns fat, lower’s risk of old-age diseases like Alzheimer and Parkinson and more. Simmer your milk of choice in a saucepan. I avoid regular milk not only because I prefer a plant-based diet, also because when you’re fighting the flu or cold dairy tends to add to the congestion and mucus. Not so comfy, and you can avoid this by using any plant-based milk (coconut, almond, walnut, rice, soy… to name a few). Separately I mix the matcha powder to water, stir. 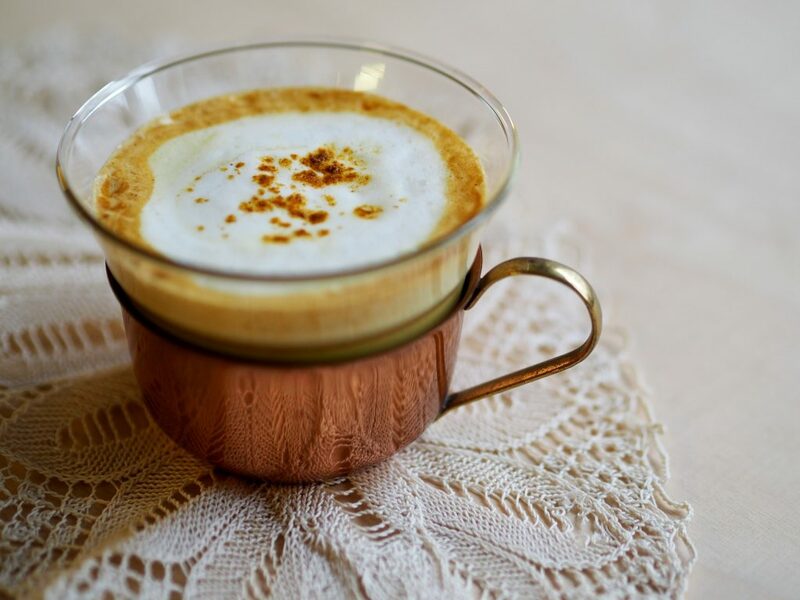 Thereafter, I add that mixture to the milk and stir to create that lovely, signature foam. Gently pour into a mug. SAVOR! Yum, a spice tea! Cinnamon is also one of those ancient substances with powerful medicinal properties. 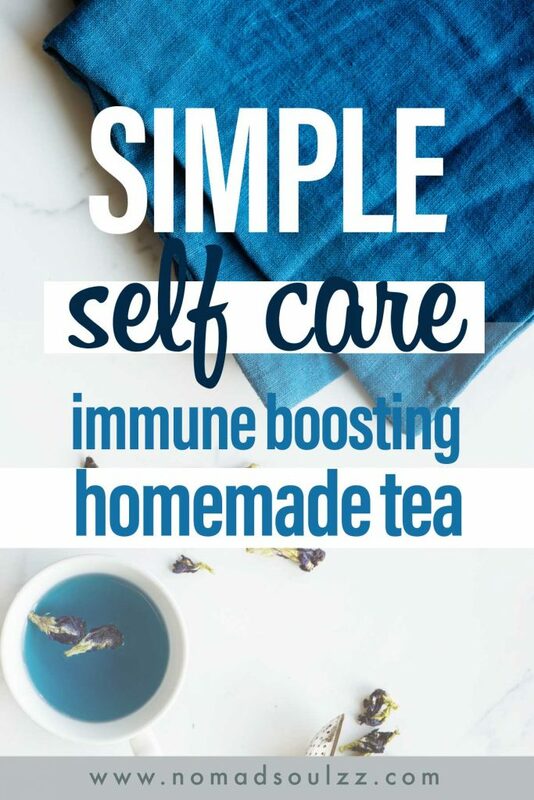 Packed with antioxidants, known for its anti-inflammatory properties and blood sugar lowering effects it’s a great tea to consume when having a sore throat. Although, be prepared for positive coughing afterward. 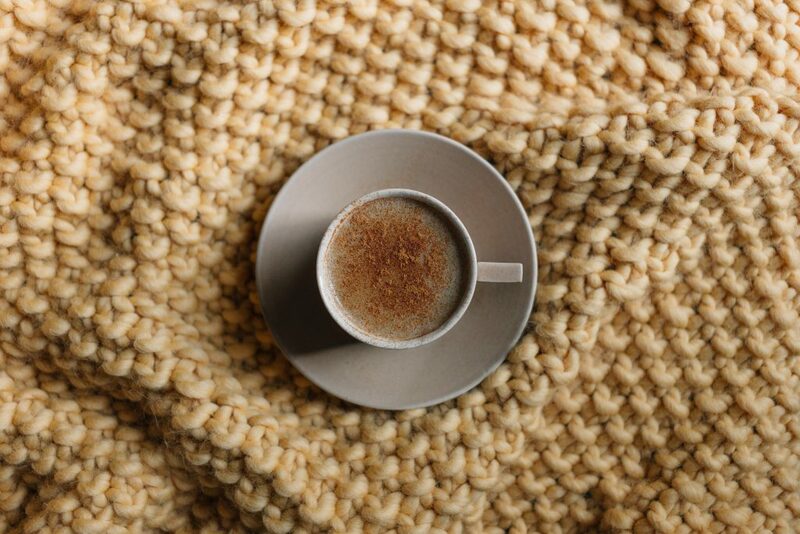 When I relished my cinnamon tea the other day it had loosened up my throat, resulting in a lot of coughing. But eventually, a great relief. I promise! Simmer the milk in a saucepan, add the cinnamon and ginger and stir. Make sure all the ingredients mix well. 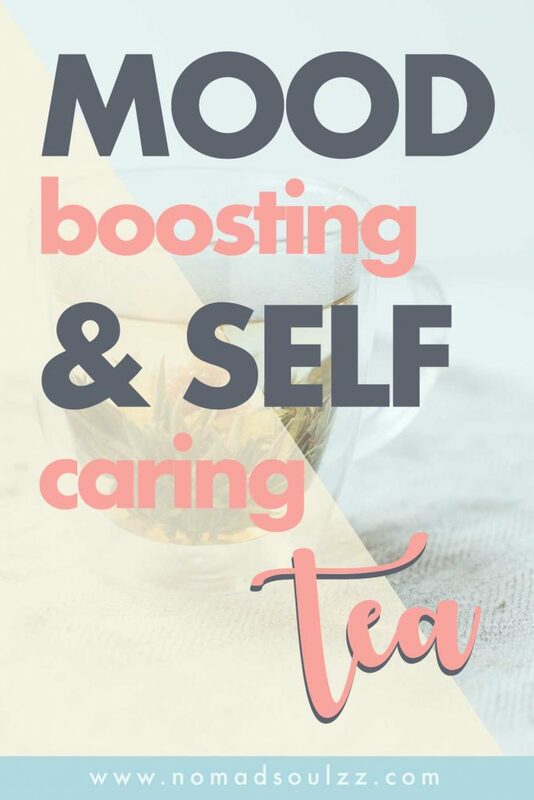 Pour into your favorite cup and enjoy! Don’t forget to Pin this post for when you or a friend is having a cold! Which tea is to-try list?